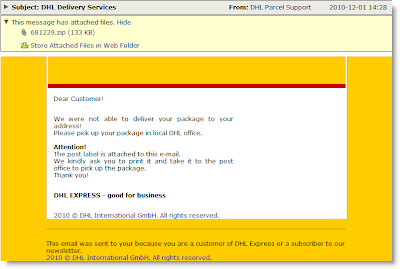 We were not able to deliver your package to your address! 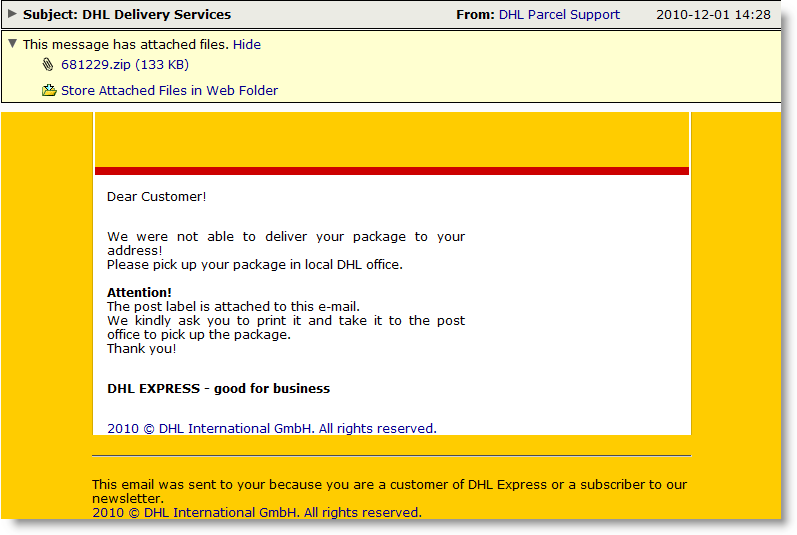 Please pick up your package in local DHL office. The post label is attached to this e-mail.